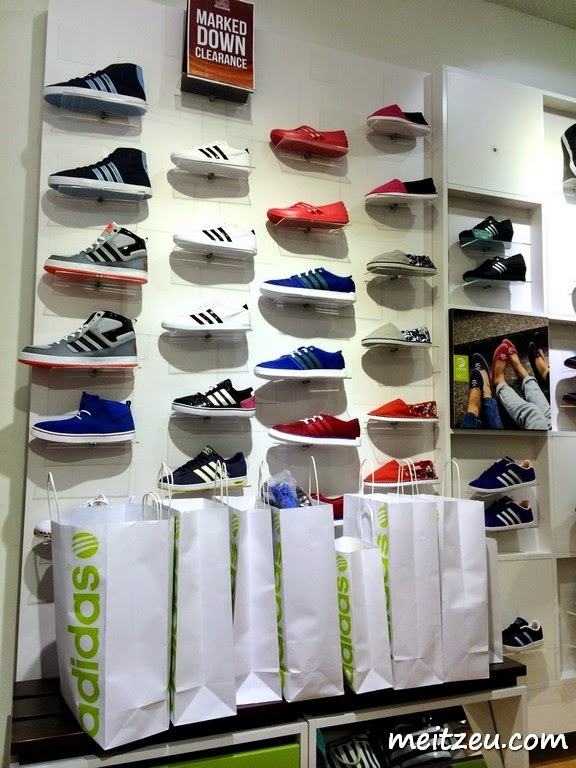 Shopping with Adidas NEO was one of the best experience I had! When I first being contacted by the person in charge, I was quite excited that I have the opportunity to write entries for Adidas. In fact, I simple love the brand since college and never thought of I have ACTUALLY BEING INVITED FOR WRITE UPS today!! 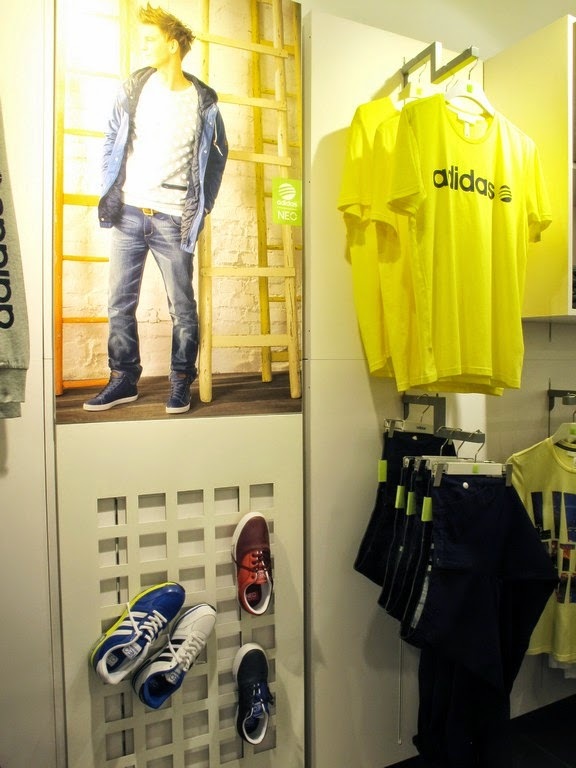 Some facts about what I love about Adidas, the designs and quality of their products just superb! And you never know how I take care my Adidas items at home. 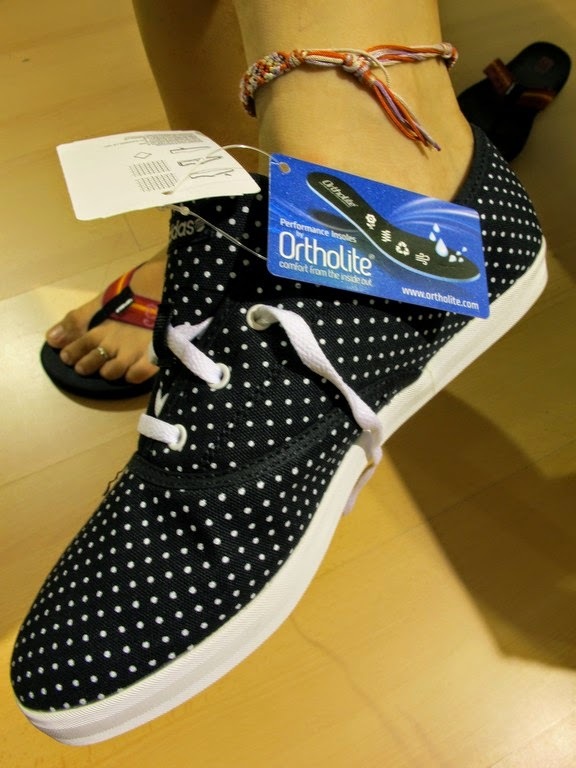 I still remember that this shoe design with canvas material was a hit few months ago! 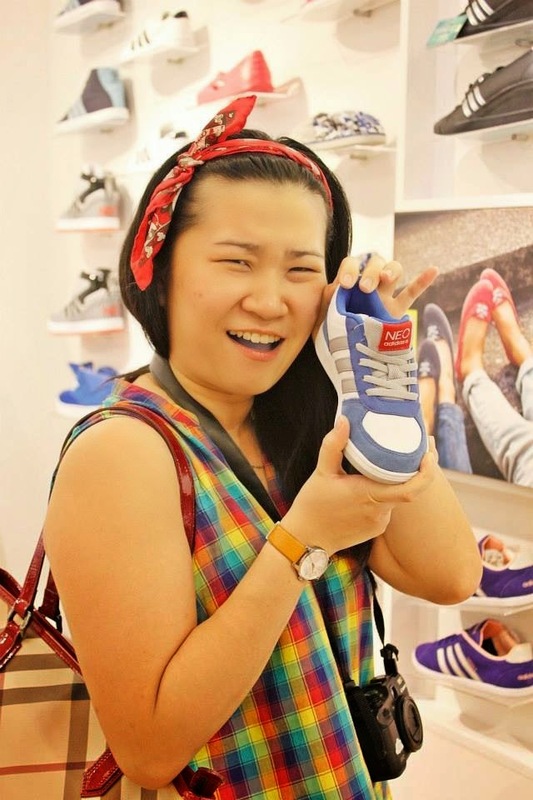 Now with their Adidas NEO which is vibrant and younger version, the young generation totally will love them! 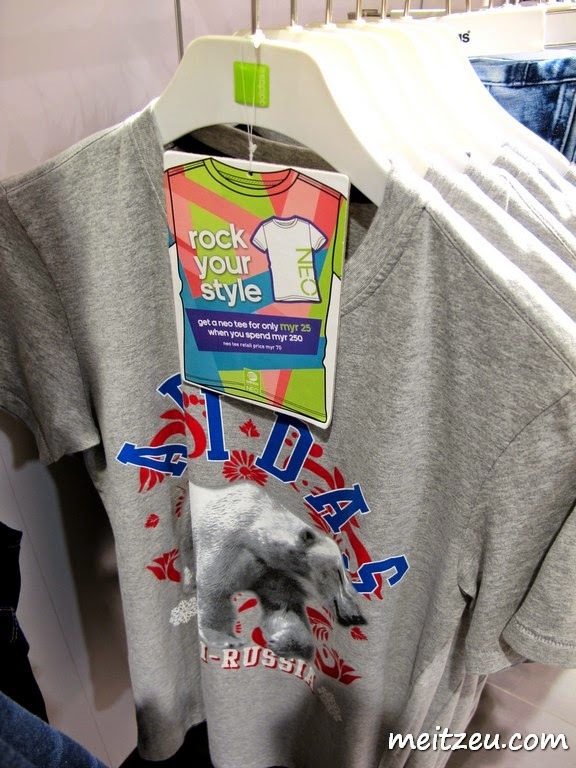 Reasonable pricing with good quality materials for this high street fashion brand. :) Some how, we could buy their products with promotional prices too! It's a WIN, I can say! Never think you are too old for colours, vibrant colour make us feel happy and good! I love both of the shoes I have chosen from AdidasNEO, both with comfy material just made me love them even more! Even my mom said "WAHHHH~~ So comfy hah!". I felt "handsome" when I wear them! Ain't they gorgeous? Anyway, I still love this design! Spotted the kids shoes from one corner. Super adorable! It's like a DREAM on that Saturday afternoon, almost asked Beverly to pitch me and we asked each other "ARE WE DREAMING, SAYANG?!". 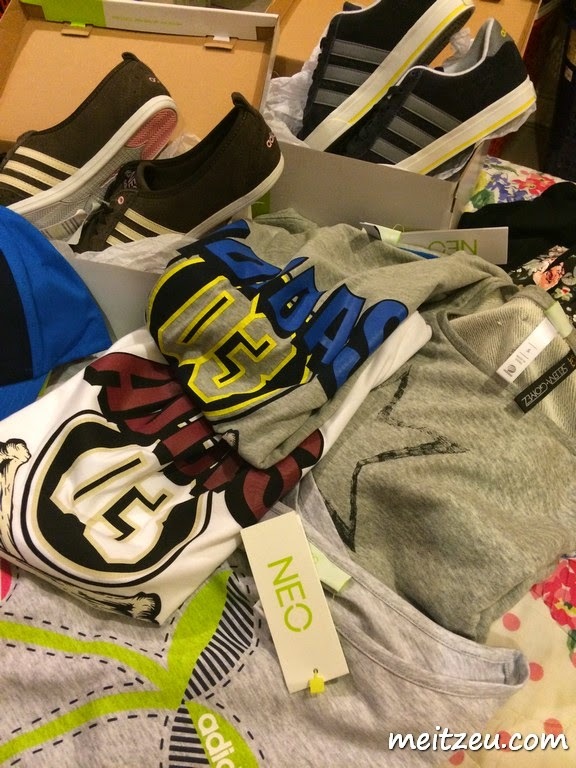 We bought quite a number of items from AdidasNEO. Thanks to Adidas Malaysia (#AdidasMY) for all the privilege we had! Attentive and friendly assistants, three of us were quite noisy while choosing our items and they were patiently serving us. ;P The nice gentleman even help me to wear my shoes, should give him a credit for doing so, even I felt a bit shy on that afternoon. Three girls and seven paper bags. Gosh! 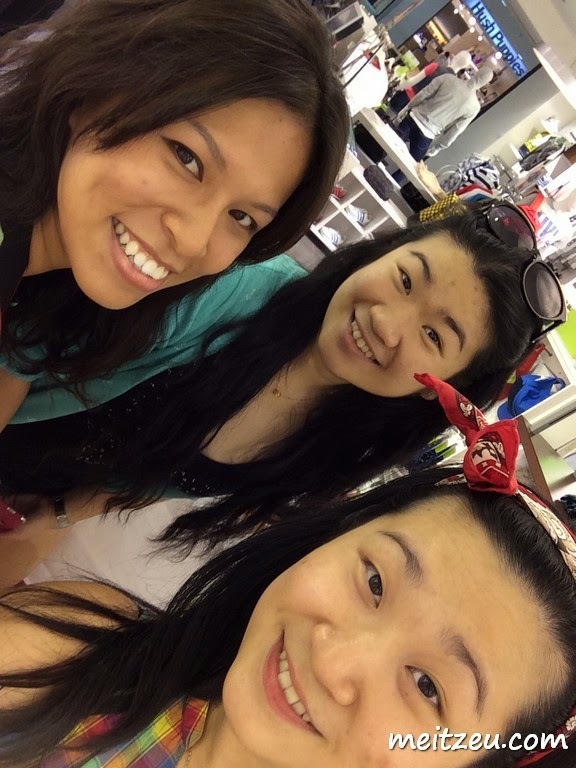 We felt awesome! Passengers who saw us with all the paper bags and happy smile, thought we were crazy!! Of what I have bought! Clockwise from top : SE Daily Vulc Shoes (Grey - Unisex) @ RM199.00, Flower Sweatshirt (Black) @ RM150.00, Woman Sweatshirt (Grey - Star) @ RM170.00, Woman Shirt (Cherry) @ RM60.00, Collegiate Tee (White and Grey) @ RM90.00 each, NEO Cap (Blue) @ RM49.00 and Shoe (Brown) @ RM199.00. Collegiate Tee, one for me, one for him. :) Thick and comfy full cotton material are way too comfy!! 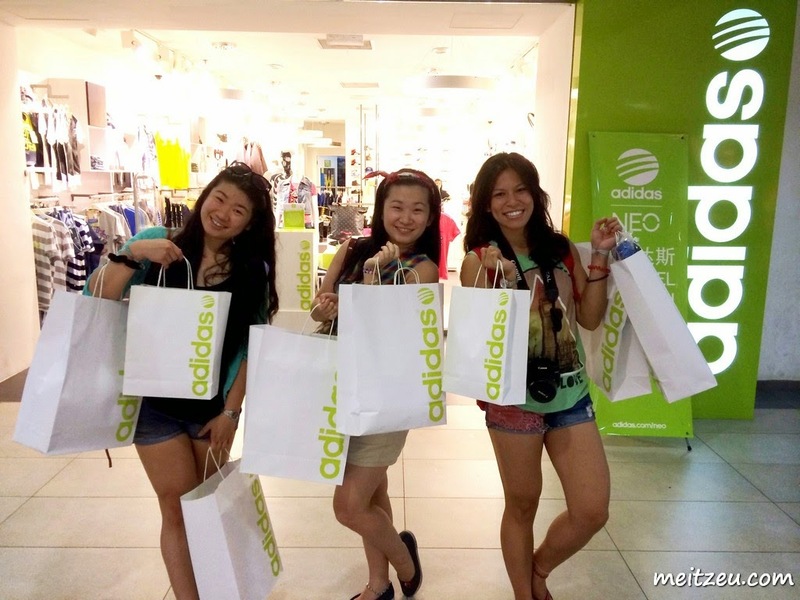 That's all for today and let us see what's Beverly and Chloe said about her experience with Adidas NEO! I've been a huge fan of Adidas from young too! 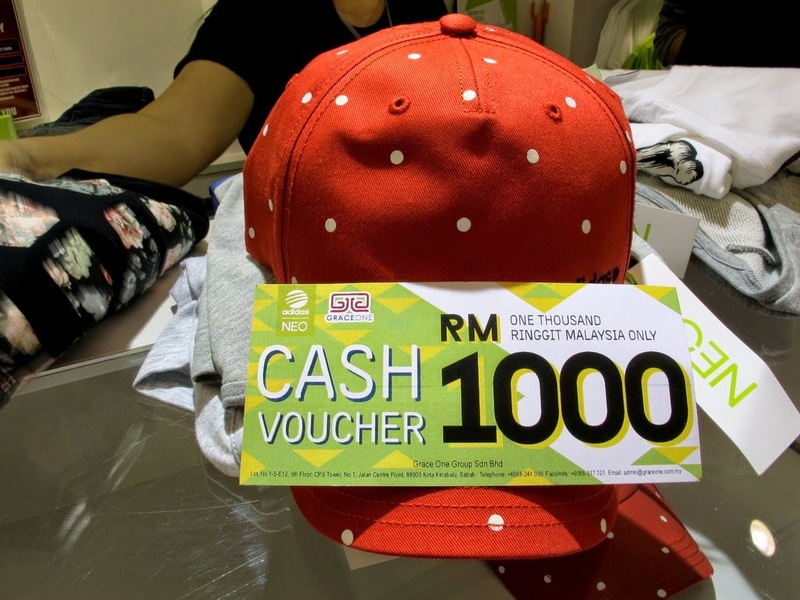 Wow, RM 1000 voucher? That's really cool!